If you haven’t experienced it yet, ‘Glamping’ is a great way to go camping. You stay in ‘Pods’, not tents. So there’s no canvas. There are no poles or tent pegs, no damp or draughts. Just all the fun of camping, without the hardship. Whether you’re an experienced ‘Glamper’ or ‘Podder’ or you’re brand new to it, you should also know about one of Ireland’s best kept secrets: the town of Portumna in South East Galway, with its Castle, Abbey, historic Workhouse and Forest park, the River Shannon and Lough Derg Lakelands, and a great range of shops, pubs and restaurants. Put them together and you arrive at Pod Umna, a unique Pod village, which is one of the most innovative and creative ‘Glamping’’ sites in the country. Pod Umna is in a calm and peaceful setting right in the heart of Portumna town, with all its history and amenities. 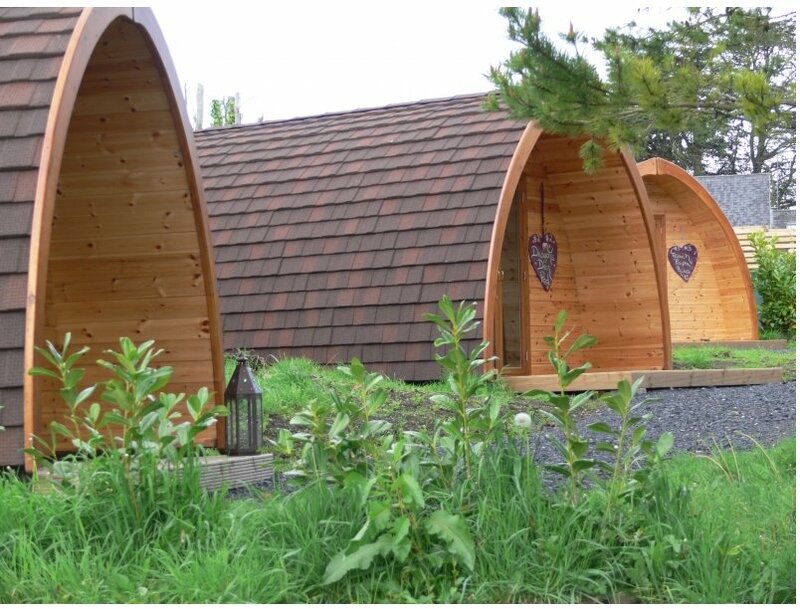 The ‘Pods’ are set in a tree-lined village landscape. They are charming, very comfortable and functional. They make a great daytime base, they sleep five, and each fully insulated Pod comes with mattresses, power and heating, and its own BBQ and deck area, complete with table and chairs. On-site facilities include toilets, hot showers, drying room, meeting rooms and workshops. There’s a kitchen and dining room if you want to self-cater, or meals are offered on-site with discounts for local restaurants and cafés if you want to stay put! Canoeing, sailing,cycling and hiking trails, water skiing and wind surfing, horse riding and clay pigeon shooting, go-karting and zorbing are all on your doorstep in the Lough Derg Lakelands. Podumna is the perfect base for exploring.